I had chosen the wrong footwear. That much was clear as we ascended further up Ar.Pe.Pe.’s Grumello vineyards. I had an inkling that they were going to be steep as we surveyed the landscape from the cantina. But for some reason we had implored Isabella to take us up higher after our first stop. Now we were on an incline that a rider in the Giro would’ve balked at, and my brogues were in danger of falling apart at the seams. I’m being a little Churchillian in my hyperbole, but let’s just say that Valtellina’s tagline of ‘Mountain Nebbiolo’ is apt. The two hour train ride from Milan to Sondrio had allowed me a refresher crash-course in Valtellina, a DOC in Lombardia near the Swiss / Italian border where Chiavennasca (the local name for Nebbiolo) is grown. 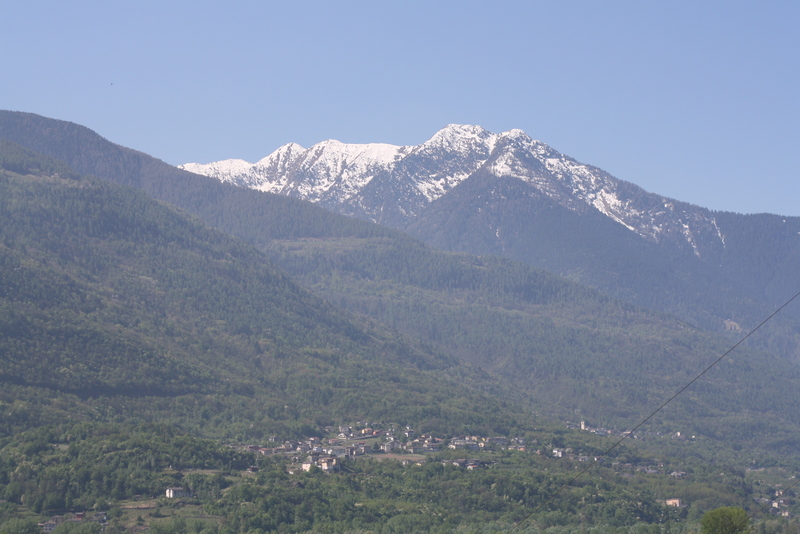 The best wines are ingrained with an Alpine personality – a more delicate, floral and nuanced riff on Nebbiolo than their Langhe brethren, although as with any region it also has its fair share of brutes who showcase little of their origin. The Isabella mentioned earlier is of course Isabella Pelizzatti Perego who, together with her brothers Emanuele and Guido, has carried on their father’s legacy in Ar.Pe.Pe. The siblings are the 5th generation working in wine although the original company founded by their great great grand father in the 1860s was sold in the 1970s. The family retained their vineyards however which enabled Isabella’s farther, Arturo, to restart the business with the 1984 harvest (released in the 1990s) under the new name Ar.Pe.Pe.. The winery is nestled in a valley with all of the Ar.Pe.Pe. vineyards lying on the northern slopes at elevations ranging from 300m-600m. The well draining sandy soil comes from the river below and is interspersed with fragmented rocks. 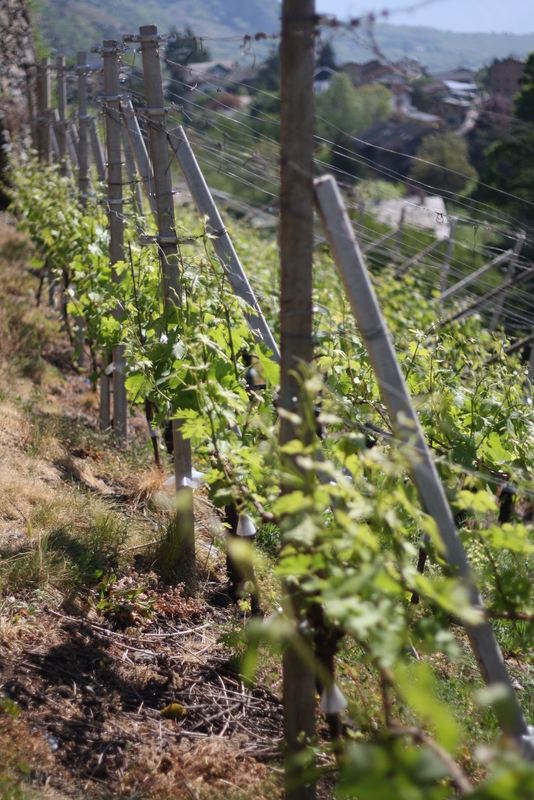 Grass grows freely between the rows of vines retaining some humidity and helping to maintain acidity in the grapes. 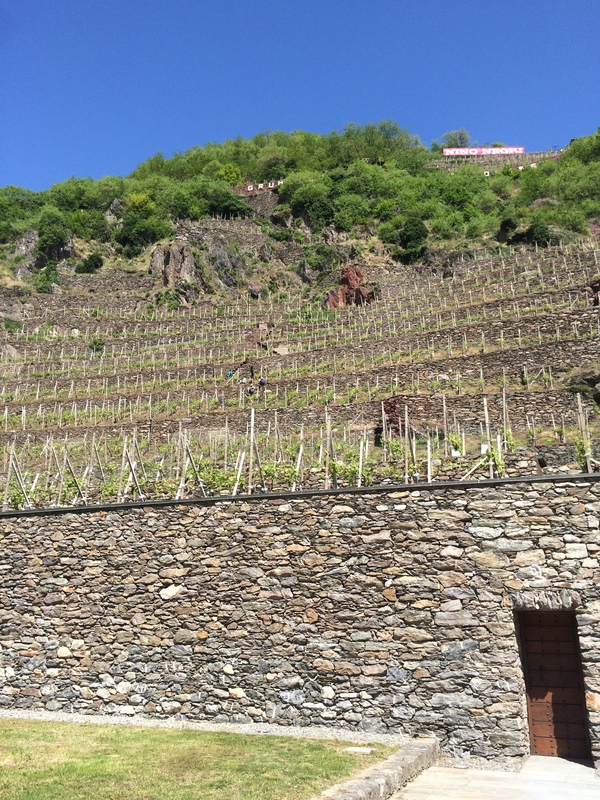 The average age of the vines is 50 years with some in Sassella topping a century old. While there are of course different microclimates within the vineyard areas themselves, in broad brush strokes Sassella tends to produce a more complex, structured, age-worthy and mineral expression of Chiavennasca than its siblings in Grumello and Inferno where Ar.Pe.Pe. have their other vineyard holdings. The rows of terraced and tiered vineyards certainly make for a breathtaking view but pose incredible challenges in the production of wine, particularly for growers like Ar.Pe.Pe. who strive to limit intervention in their viticulture. Mechanisation is impossible in this terrain and, in man hour terms, vineyard management requires about 1300 hours per hectare per year, multiples of the time that other growers, even those in hilly regions, must invest in tending their vines. Since 2006 fermentation takes place in wood with only native yeasts, and malolactic fermentation is completed while the wine remains in contact with the skins. Maceration varies greatly depending on the wine and the vintage but has peaked at 70 days in one case. 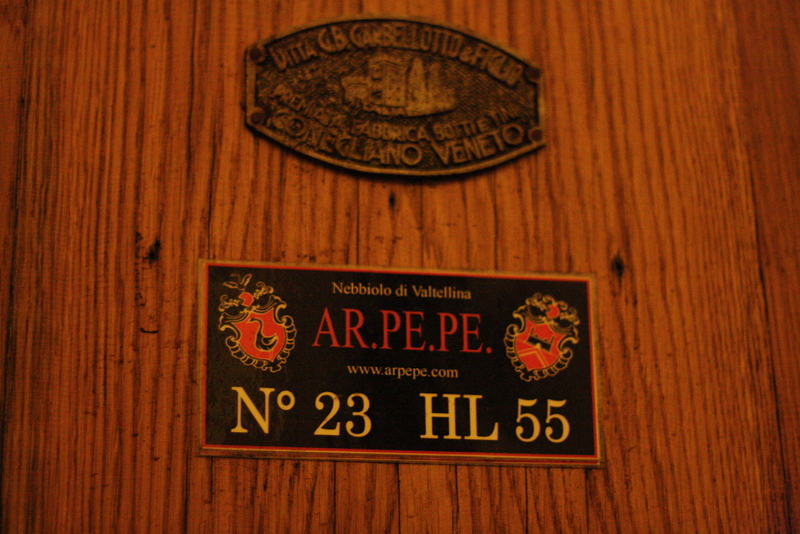 There is a variety of old wood used in the winery; the 55HL botti in which most of the top wines age are a mixture of oak, chestnut and acacia. Vintage quality, and grape skin thickness in particular, defines the makeup of the releases each year. 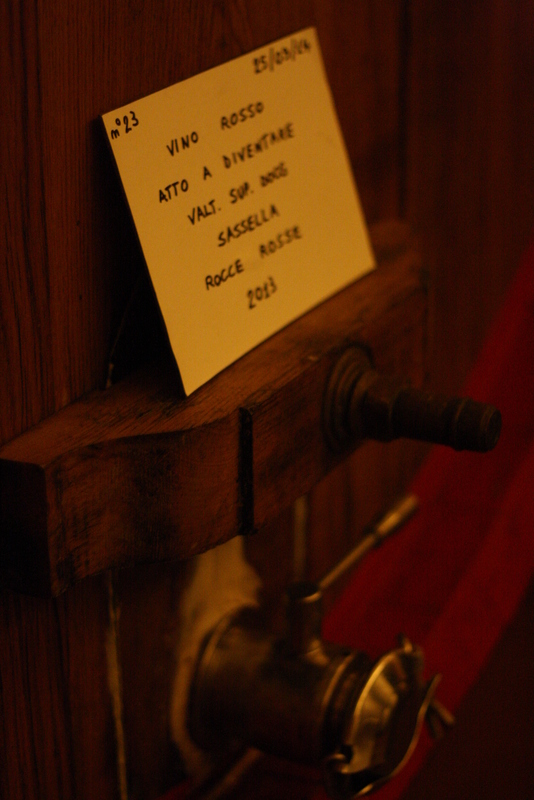 The Rosso di Valtellina has now become a staple, but the decision on whether to release the ‘grand’ cru Riservas (Sassella Rocce Rosse, Sassella Vigna Regina, Grumello Buon Consiglio) or the standard Riservas (Sassella Stella Retica, Grumello Rocca di Piro and Inferno Flamme Antiche) is made annually. There are of course anomalies like 2008 where no wine was released at all following hail damage. Hail remains a clear and present danger, but while surveying the cantina, itself etched into the base of Grumello’s rocky foundations, I suspected that if mother nature were to deliver a string of superb vintages in succession that the extended ageing of the crus would make barrel capacity almost as much of a limiting factor. 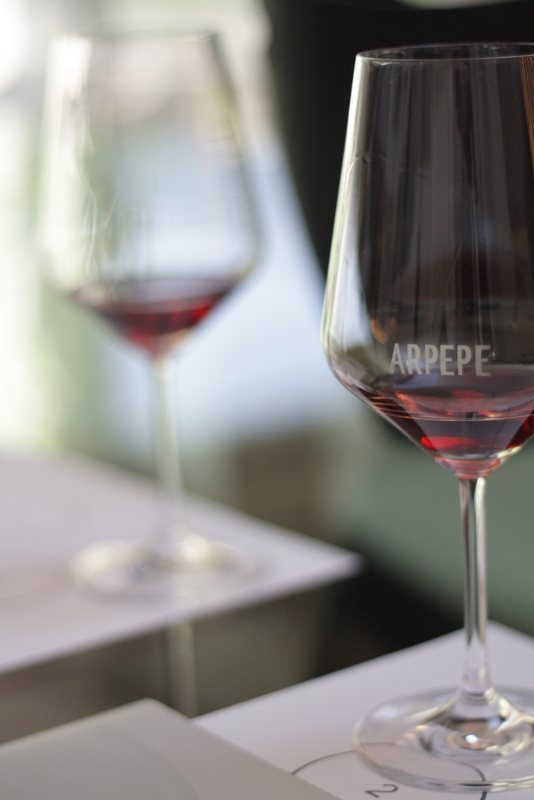 While some wineries merely pay lip service to bottle ageing of wines prior to release, at Ar.Pe.Pe. it has become an integral part of the winemaking process, and the time in bottle prior to release now roughly matches the time spent in wood. As a result, the current releases of these ‘grand’ Riservas are from the superb 2005 vintage, and a cavernous warehouse has been constructed to provide enough space to accommodate the entire production of five vintages. 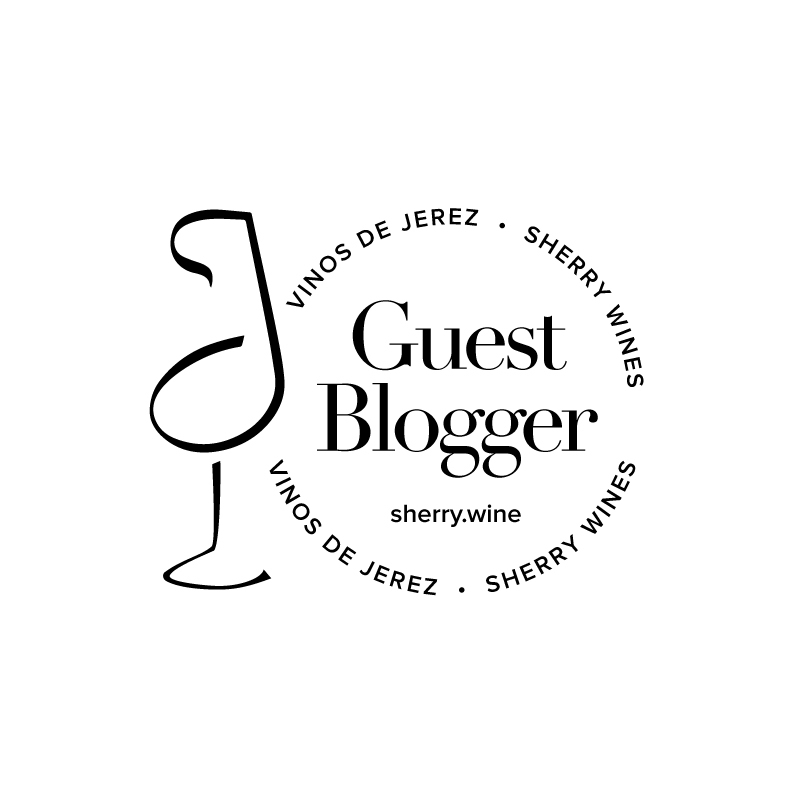 Continue to read about the wines in part 2 here.